K and G Limo, provides the best LaGuardia Airport car service (LGA) to New York City. We invite you to experience our services the next time you have a flight to catch or you arrive to LGA. Our premier LGA Airport car service is the most reliable way to travel to and from the airport. Travel with K and G Limo, a chauffeured private car provider – we provide you to the top-quality ground transportation service. If you are looking for a reliable airport car service NYC. K and G Limo is the best choice. Our team works hard to meet the demands of a busy traveler. LaGuardia (LGA) as an airport has constant changes and different rules. Our team will ensure that you will be picked up and we will coordinate with you that the experience is pleasant. You can count on us that LaGuardia Airport experience will be the best. Let us help you to plan your journey and arrive nicely, with no delays and no unnecessary waiting. Be sure that you will always arrive on time with us. 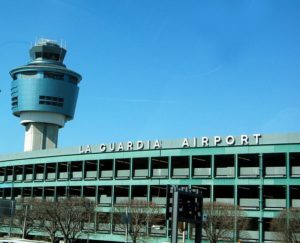 LaGuardia Airport (LGA) has four terminal buildings and 72 gates. Recently it has welcomed and assisted with the departure of almost 28 million passengers. If you are in need of a limo for LGA, contact our customer support team or book a car using the online booking widget. Our LaGuardia Airport (LGA) car service has been carefully designed. Your comfort and safety are our highest concern. Our team of experts works tirelessly to ensure every ride fulfils customer expectations and that 100% customer satisfaction is achieved. Let us assist you with your luggage and provide you a true red carpet experience the next time you travel. K and G Limo has put in place innovative processes and sophisticated technology to ensure you are never left stranded and that you always travel with peace of mind. Book the Meet and Greet Service at LGA, making your transfer smooth and comfortable. Next time you travel, select from our range of late-model, quality vehicles. All our vehicles undergo regular mechanical checks and are inspected for safety and passenger comfort. Our vehicles offer plenty of room for your luggage and spacious interior for you to stretch your feet and relax, while our chauffeur takes care of the directions and navigates traffic. Next time you have a flight to catch or you touch down at LGA, contact K and G Limo for the finest LaGuardia Car Service.